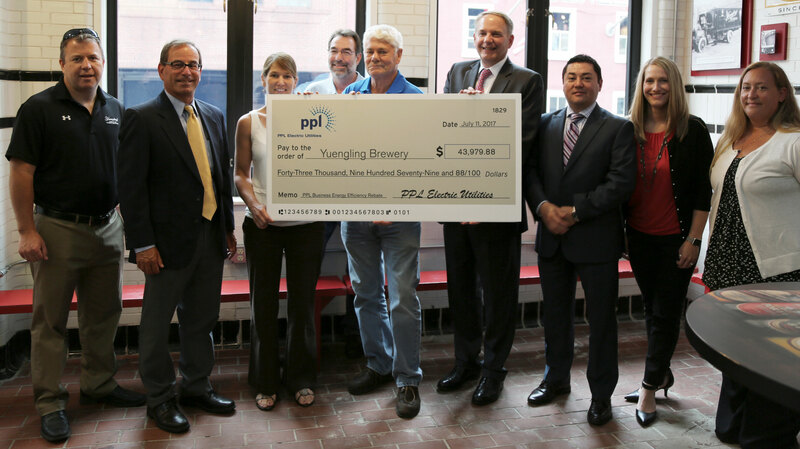 Everyone knows we are proud of our Pottsville, PA-heritage and excited to have expanded our Yuengling family to include the communities of Mill Creek, PA and Tampa, FL. But, you may not know that as the 6th generation of brewers we are focused now more than ever on our commitment to sustainability and preserving our natural resources in those communities. Some of these initiatives include the recycling of brewing byproducts, the conservation of water, the sourcing and purchasing of local materials and ingredients, and more. 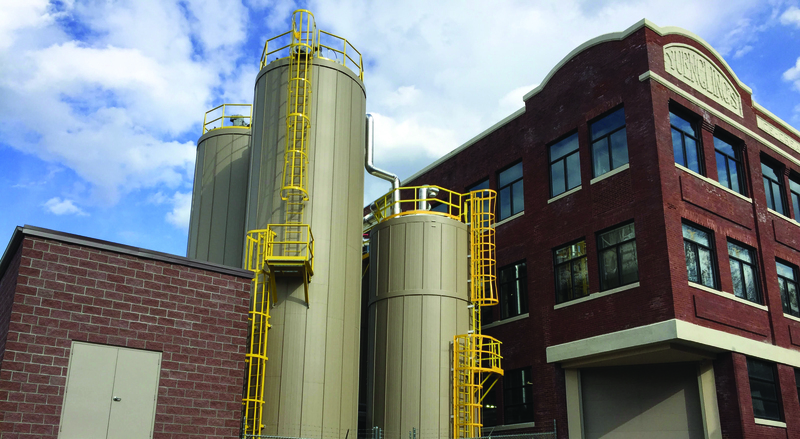 The Yuengling Pottsville wastewater pretreatment plant and Combined Heat and Power Systems (CHP) project were completed in December 2016. The wastewater treatment plant has successfully used methane byproducts to generate electricity and heat to power the gift shop and museum. As a result, our local energy provider – PPL Electric Utilities – awarded us a one-time energy savings rebate of nearly $44,000 in 2017. In 2018, we incorporated a natural gas/methane blending unit to our already existing CHP generator at our Mill Creek location resulting in more efficiency and additional energy savings. 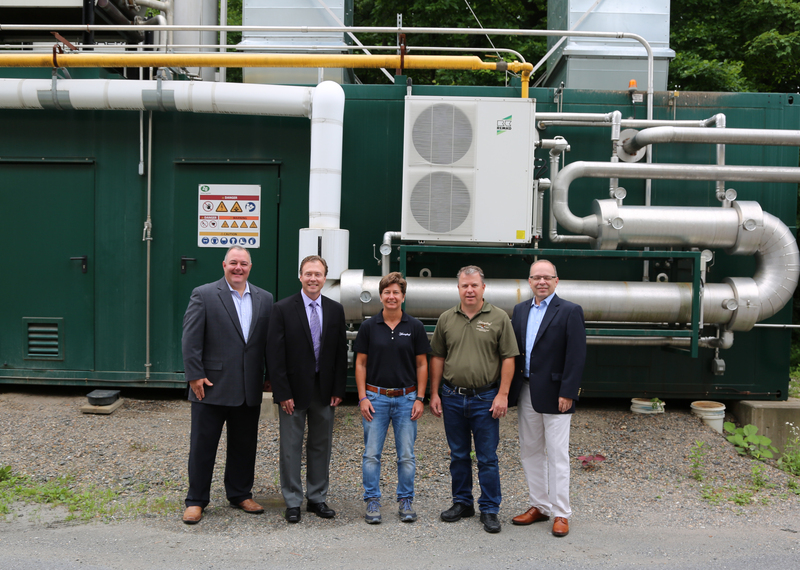 UGI (United Gas Improvement), Yuengling’s gas utility supplier, in conjunction with our CHP manufacturer, helped us incorporate natural gas to power our manufacturing process. We continue to seek out these types of partnerships that aid us in our mission to become increasingly sustainable year after year, and allow us to invest in our communities, in turn, investing in the environment for generations to come. In 2001, we installed a wastewater pre-treatment plant at our Mill Creek brewery, and have since incorporated those sustainable practices into our brewing processes for Pottsville and Tampa. As of 2017, all three locations also have CHP installed, resulting in significant reductions in the use of energy and electricity. That year, the county Environmental Protection Commission recognized our Tampa brewery for its energy saving practices. Make sure to follow us on Facebook, Twitter and Instagram for the latest news in our sustainability efforts at all three of our breweries!